The ultimate extreme air experience! Featuring over 30,000 sq. 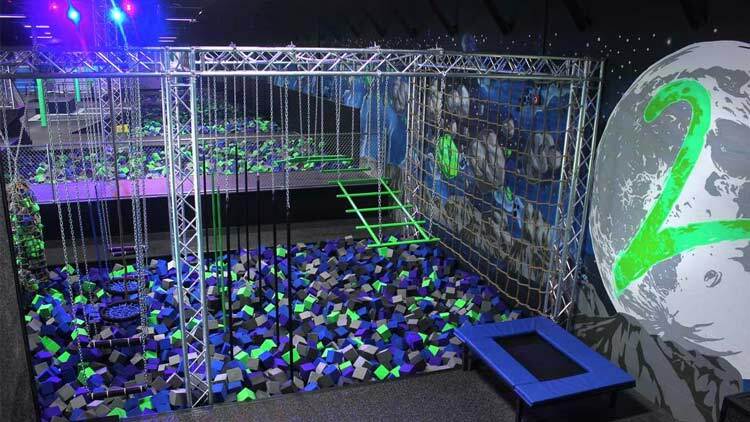 ft. of extreme attractions, including 60 trampolines, ninja obstacle course, dodgeball, air dunk, slack line, trapeze, aerial silks, and foam pits.